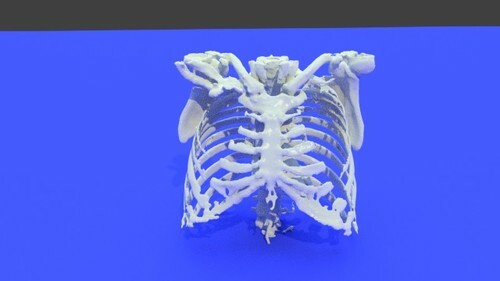 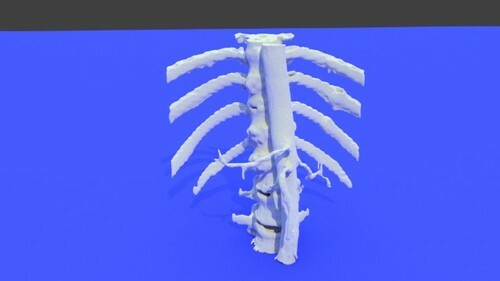 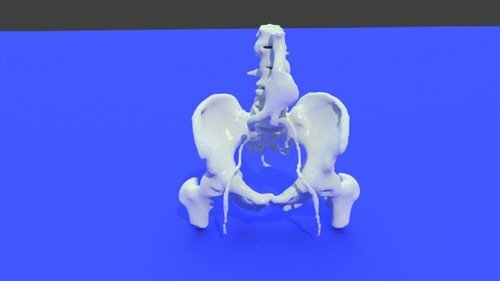 This 3D printable STL file contains a model of the thorax was derived from a medical CT scan. 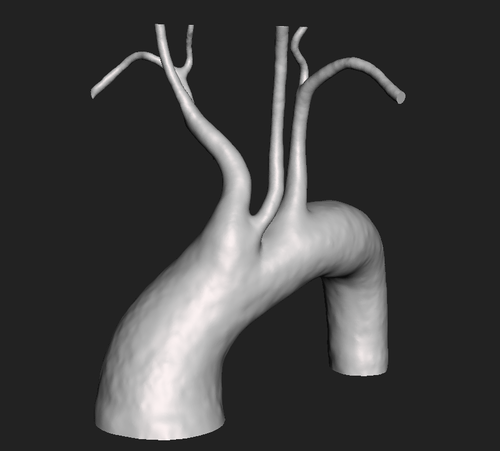 It shows the heart and aorta as they reside in the chest. 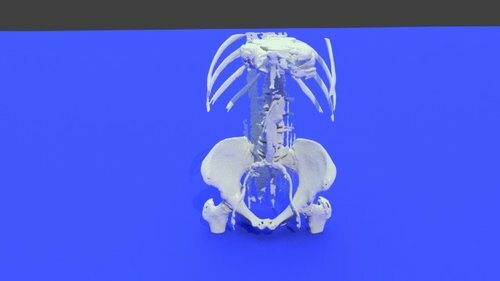 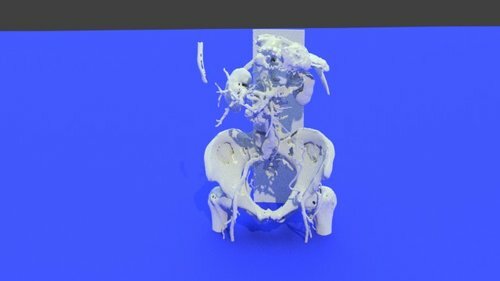 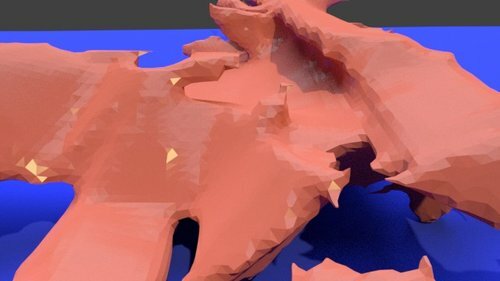 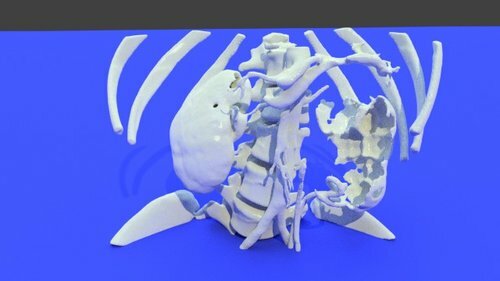 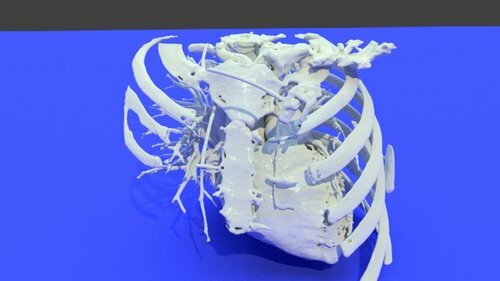 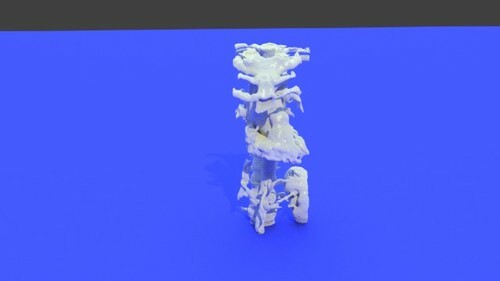 This 3D printable STL file contains a model of the thoracic aorta, heart, and aortic arch was derived from a medical CT scan. 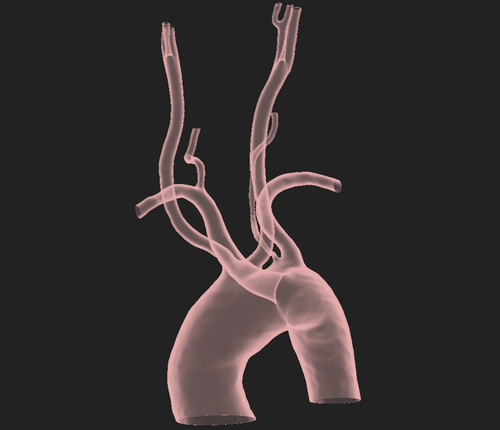 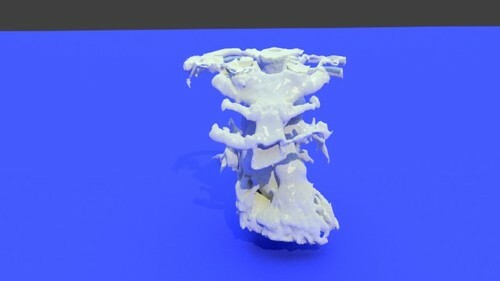 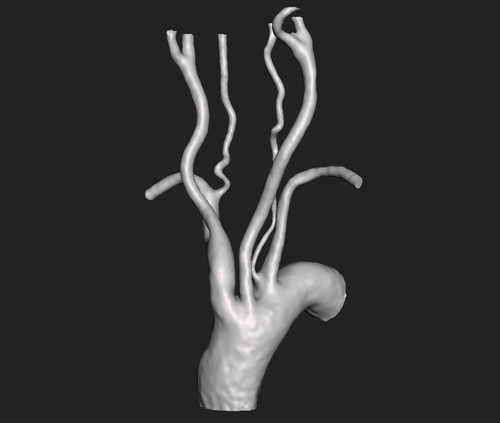 This 3D printable STL file contains a model of the thoracic aorta was derived from a medical CT scan. 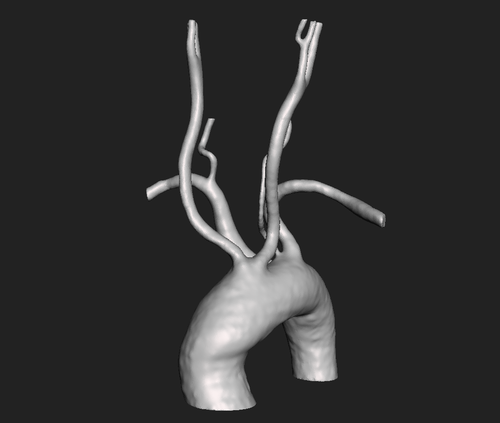 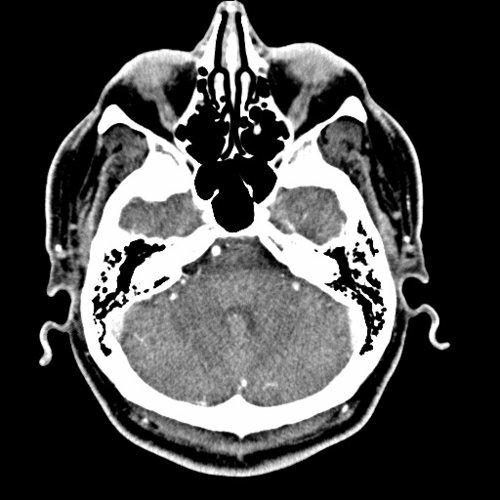 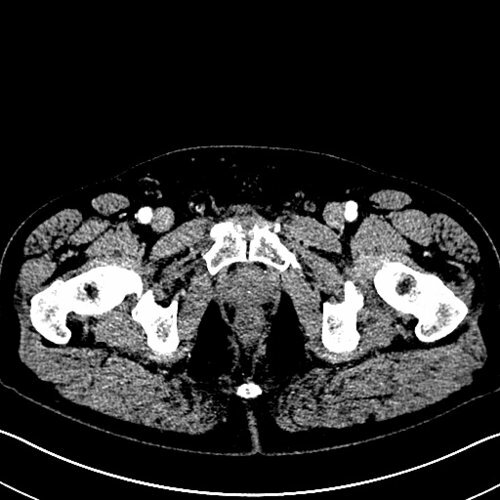 It shows the course of the aorta as it arches and travels into the abdomen. 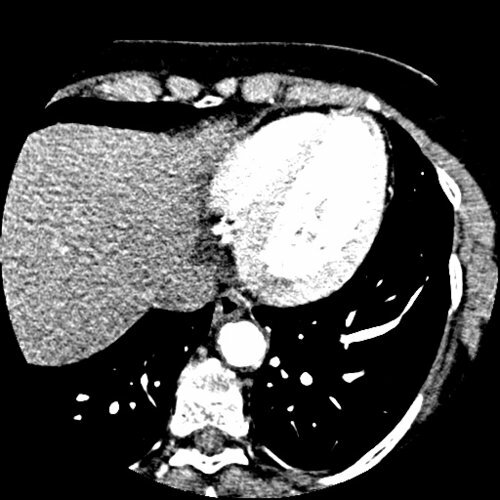 Part of the left kidney is also shown. 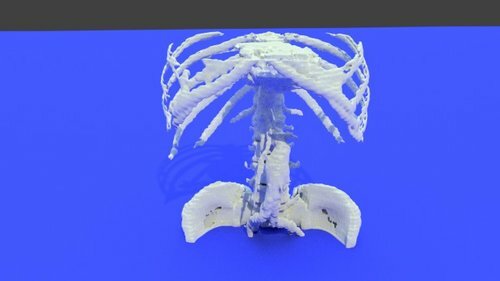 This 3D printable model of the abdominal aorta and mesenteric arteries was created from a CT scan.